Heritage Arts AB01-4 Acrylic Brayer (4'') by Heritage Arts at Designers Artists. MPN: AB01-4. Hurry! Limited time offer. Offer valid only while supplies last. 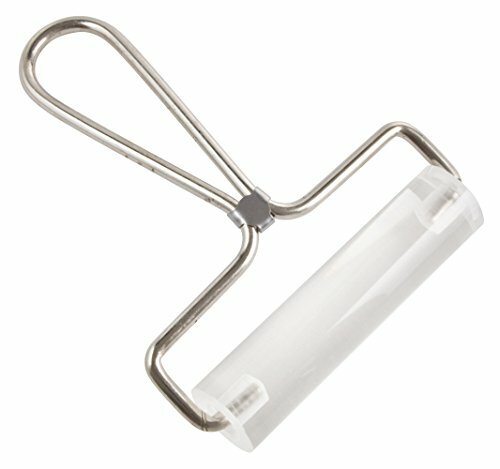 Hard acrylic 1 inch diameter roller with plated steel handles and brass bushings. Prevents rubber cement or wax adhering to the brayer when applying. Hard acrylic 1 inch diameter roller with plated steel handles and brass bushings. Prevents rubber cement or wax adhering to the brayer when applying. Ideal for burnishing or mounting artwork. 4 inches. Prevents rubber cement adhering to the brayer.